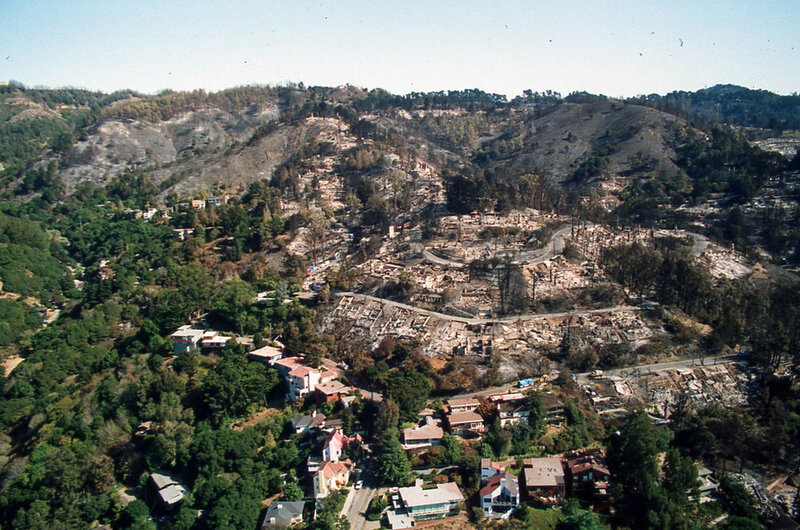 The Conservancy has previously reported its full support of UC Berkeley’s efforts to recover funding granted in 2015 by the Federal Emergency Management Agency (FEMA). The grants were to reduce fire danger on UC's hill campus in Claremont and Strawberry canyons by removing stands of hazardous trees. UC's approved work plan was backed by a 4,000-page Environmental Impact Statement (EIS) that analyzed potential impacts to UC’s land and surrounding environment. To date, UC has received none of its funds. A year after the original EIS, under the settlement of a lawsuit against FEMA filed by the Hills Conservation Network (HCN), FEMA withdrew UC’s funds, as well as Oakland’s, and offered them instead to the East Bay Regional Park District, a co-recipient of the grants. The Conservancy had supported UC’s proposed work and the original 2015 EIS, the result of 10 years of scrutiny by government agencies and the public. We were shocked to see the funding yanked in a closed-door, last minute settlement. A Diablo wind fire in this eucalyptus grove on the ridge overlooking Strawberry and Claremont Canyons would throw burning embers into lower residential areas making firefighting difficult, if not impossible. the University but was denied permission by the court, based on procedural grounds. This was a big disappointment. We cannot imagine that FEMA has decided, despite the 4,000-page EIS, that the dense eucalyptus grove along the north side of Claremont Avenue and up to the ridge are somehow now fire-safe. More likely, FEMA (and the Park District) decided to take the line of least resistance and settle with HCN rather than litigate and defend the EIS in court. Indeed, it appears that FEMA would just as soon wash its hands of the entire matter, leaving Claremont and Strawberry Canyon residents exposed to the significant fire hazards explicitly identified in the EIS.